The experience of perimenopause varies as women are all different. In this post, I share what has worked for me, as well as research on the topic. The gifts of menopause offer a pathway for you to follow. At an annual check-up with my GP, he was intrigued when I told him “menopause is an interesting journey”. He immediately asked, “How is this?” And then asked whether I ever felt angry, depressed or overwhelmed. Unfortunately, he mostly hears the stories of women experiencing severe symptoms of menopause, which are thought to affect about 20% of women. I will outline the challenges of perimenopause in part 2 of this series. Menopause occurs 12 months after the final period. Perimenopause is the transition time from regular monthly cycles to periods ceasing altogether. Perimenopause can last 4 to 6 years. It is a time of hormonal change as the ovaries are running out of eggs. Our oestrogen levels can swing from low to high, as some months two eggs may be released. Women will also notice changes to their periods. Changes in the pattern (timing and duration) of your period. Increased bleeding during a period. Periods lasting more than 8 days. Periods occurring less than 3 weeks apart. Periods occurring more than 2-3 months apart. Painful periods, which cause you to stay at home. The Jean Hailes Foundation website also has information about the hormonal changes during perimenopause and menopause. Some women will transition to menopause with no symptoms at all. But about 60% experience mild to moderate symptoms. When perimenopause begins you really don’t know what to expect. A mindful approach allows us to observe what is going on in our mind and body. I decided that this was going to be an adventure that I could navigate and that I would keep an open mind! My first sign that I was entering perimenopause was postural hypotension—low blood pressure when I stood up from a lying or sitting position. I didn’t see the link initially. This is not usually stated as a symptom! I did a quick online scientific literature review of the connection between menopause and hypotension. At the time I found one small study that had observed this link by chance. This study had researched menopausal women with high blood pressure whilst they were exercising. When the women experienced a hot flush, their blood pressure dropped. This is to be expected. When our body temperature rises, our blood vessels dilate to release the heat, and our blood pressure drops. My next symptom was also hard to identify, as it coincided with summer. Yes, I am talking about mild night sweats. After all, waking up feeling hot during a summer night is not that unusual, right? I found that these symptoms were managed with a few changes to what I was eating and reducing the number of heating herbs and spices that I used in my cooking. Around the time of my first night sweats, I was also waking up feeling cranky, and if I did not stay mindful, I could easily express anger. At first, I thought this was due to me having interrupted sleep, but regardless of the cause, it had to be dealt with. I believe that we own the anger; an external circumstance or another person does not create it. 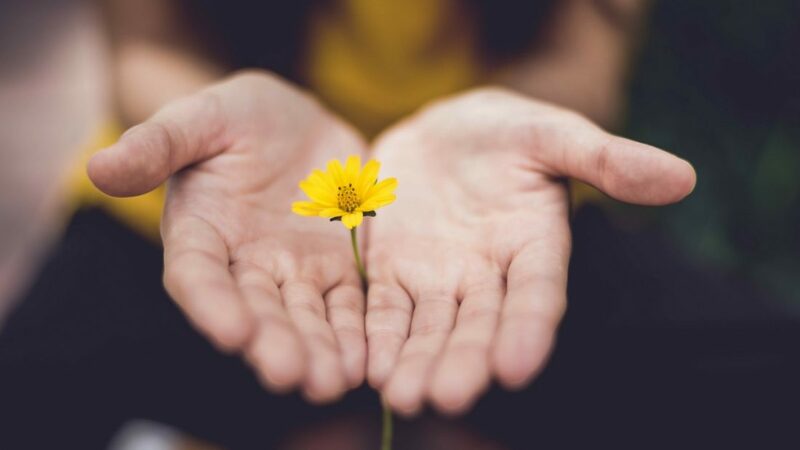 As encouraged by an Ayurvedic doctor that I had met in India, I started the morning practice of asking, myself “How is my mind today?” We often notice if we have any physical stiffness or soreness on waking, but neglect to check on our mind. I took this on as a challenge and it has strengthened my mindfulness practice. If I noticed that I felt cranky, then I would own this as feeling mine. I soon found that I didn’t share it with others. What I mean is that I was able to be patient with myself for feeling this way, and it soon resolved. I also referred to the Ayurveda teachings on pitta excess. You may read my earlier post on Ayurvedic constitutions here. Once I realised that I was perimenopausal, I became more vigilant about common menopausal symptoms, such as headaches and hot flushes. The hot flushes are a symptom that I have been able to eliminate through altering my food choices and maintaining regular meditation sessions. The key is to notice which foods affect you. The main foods that are linked to hot flushes are alcohol, hot spicy foods (chili, garlic, onion, excess ginger), coffee and many sugary and salty foods. Cigarette smoking also increases hot flushes. After returning home from an extended period of travel I experienced frequent hot flushes and night sweats (not severe). I knew that my eating and sleep routine had become out of sync with my personal health and wellbeing requirements. It took less than two weeks to eliminate the hot flushes and night sweats. So what did I do? I have learned to observe any symptoms and process them as a sign that my mind-body is out of balance. I know that most of the time by making changes to my eating and lifestyle choices I can rebalance. But sometimes I need additional support from my acupuncturist. Working with healthcare practitioners who are interested in helping you navigate your own menopausal journey is essential. When I feel that I need a tune-up, I make a few appointments with my Traditional Chinese Medicine Practitioner. I have a course of acupuncture and herbs, which are suited to my individual constitution and symptoms. I also keep my GP informed of my symptoms and overall health and wellbeing. If I was to say that menopause is a dream, I would be lying, except for the 20% of women who experience no symptoms. Perimenopause presents personal and practical challenges. And on different days and under varying circumstances I am able to manage them more or less skilfully. In part 2 of the menopause series will explore the challenges of menopause. 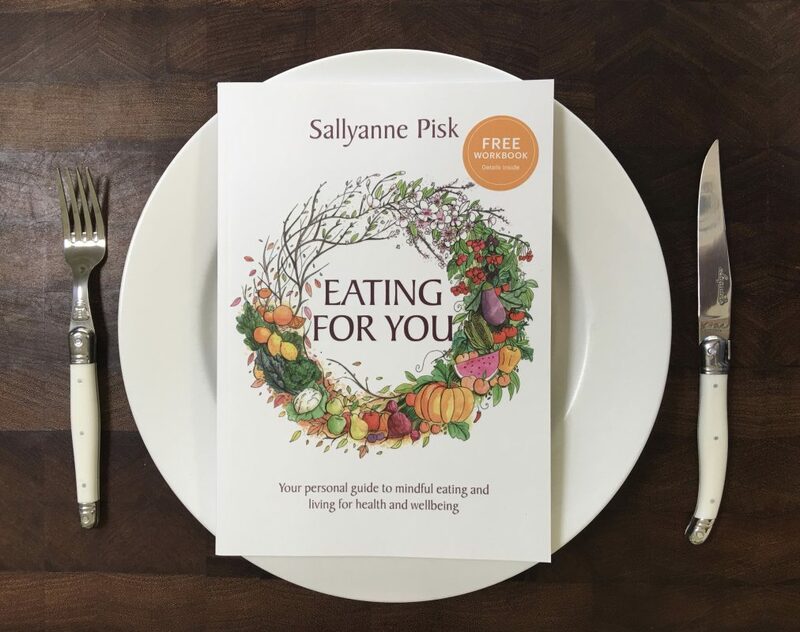 The Eating for You book and workbook are useful tools to navigate the transition to menopause and beyond.